High luminous efficiency, long service life, good color reproduction and impressive economy are the critical benefits of high-pressure discharge lamps from OSRAM. As a result, more and more new areas of application are continuously opening up for these lamps. Their light is produced in the smallest of spaces. 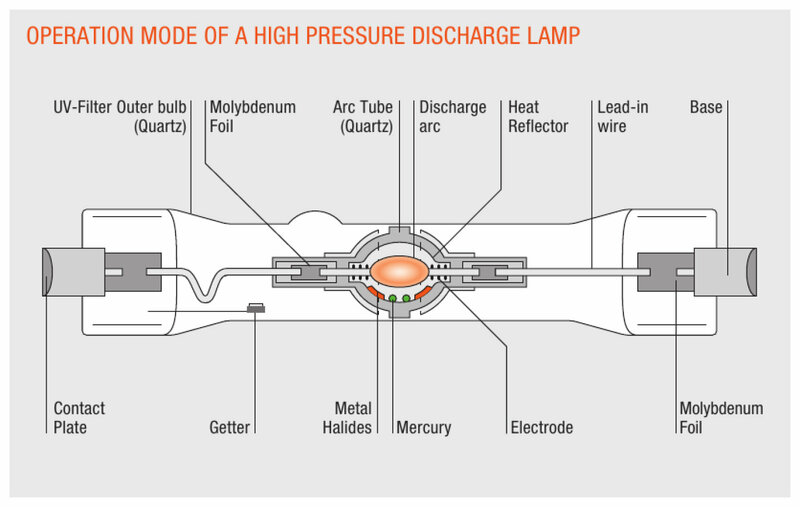 High-pressure discharge lamps can be compared more or less with point light sources. This has many positive effects in terms of light control and brilliance of the lighting. As one of the innovators in the lighting industry, OSRAM recognized the potential of high-pressure discharge lamps at an early stage and has been consistently improving the technology ever since. Patented quartz HQI technology from OSRAM achieves the highest wattage levels and offers a variety of light colors. Ceramics can withstand higher temperatures than quartz glass and can achieve a higher degree of luminous efficiency, improving color reproduction as a result. A comparison of two high-pressure technologies. 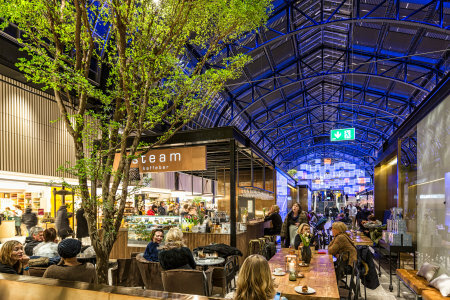 OSRAM technology provides economical light sources for general lighting applications. How is the highest luminous efficiency of all high-pressure discharge lamps generated? Low investment costs, mainly used for street and factory lighting. Established mercury vapor technology offers outstanding benefits in a whole host of application areas. How does gas discharge generate efficient light for different areas of application? The different operation principles of modern high-pressure discharge technology are explained concisely and accurately below. The question of a perfectly adapted control gear and the right ignition determines how well the efficiency, service life and light quality of high-pressure discharge lamps can be improved. Every lighting application area has special technical requirements. The best light for every requirement. An overview of all high-pressure technologies and light data.